Juheun’s ‘Acceleration’ is inspired by his interest in space travel and technology. It’s composed of four well-rounded tracks, opening with an eponymous title track that emotes a truly hypnotic experience, embracing a percussive backbone and unique futuristic sound effects to carry listeners through. 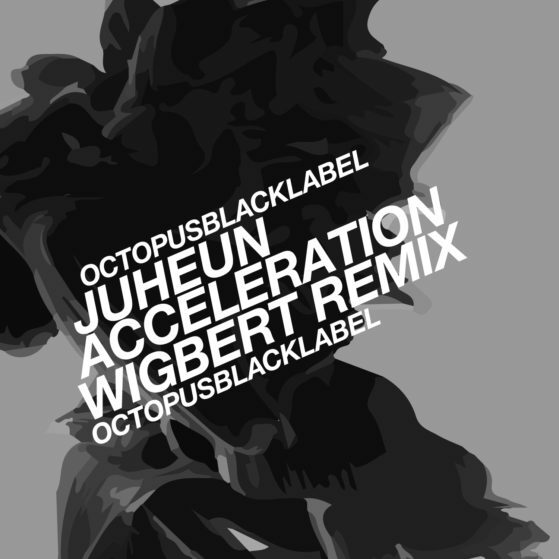 The second track veers from the original composition of “Acceleration” with a remix featuring multifaceted German producer, Wigbert. Known to combine tech-house and techno, the studio scientist incorporates booming bass that drives the energy of the track keeping an undertone of its original percussion. The EP’s third offering is fittingly titled “Pulsar,” with its fast-paced and multi-layered beats displaying Juheun’s intricate attention to detail. Cranked up drums and melodic blasts are sure to keep crowds moving late into the night. The EP is rounded out with the grippingly dark “Gamma,” a tune that begins with a heavy bassline that matures into an eerie repetition of vocals and effects that are both minimalistic yet unexplainably intriguing. Tracks on ‘Acceleration’ have already garnered support from the likes of John Digweed, Nicole Moudaber, Pig&Dan and more.